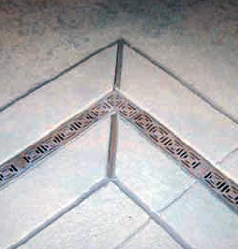 Pool Deck Drains are used to collect water from the patio around the pool and relocate it to a more desired location that will not cause water damage. 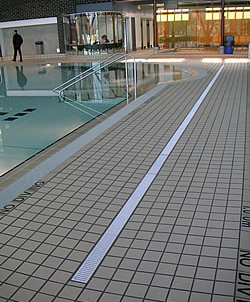 Most pool deck drains will fall into one of two types: trench drains and spot drains. 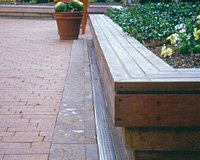 A trench or strip drain is long and narrow that the water drips into a trough and follows it to the end location. A spot drain is circular and smaller and a chain of them will be connected underground with piping to be relocated. There are some situations that do not allow space for trench drains in which point you would need a spot drain. You will want to direct the water away from the pool so that dirt and debris will not get poured back in to the pool. As long as the water is removed from the pool, patio deck, and house, the goal is to take it to somewhere to not cause damage or can be rerouted again.